Ah Xian – crackle… & splat! 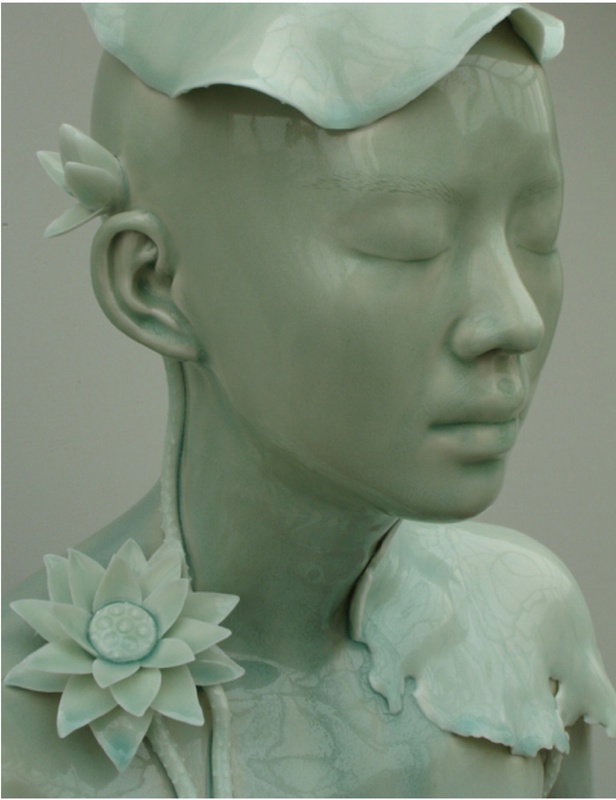 Ah Xian commenced producing porcelain busts in 1998, after emigrating from China in 1990. 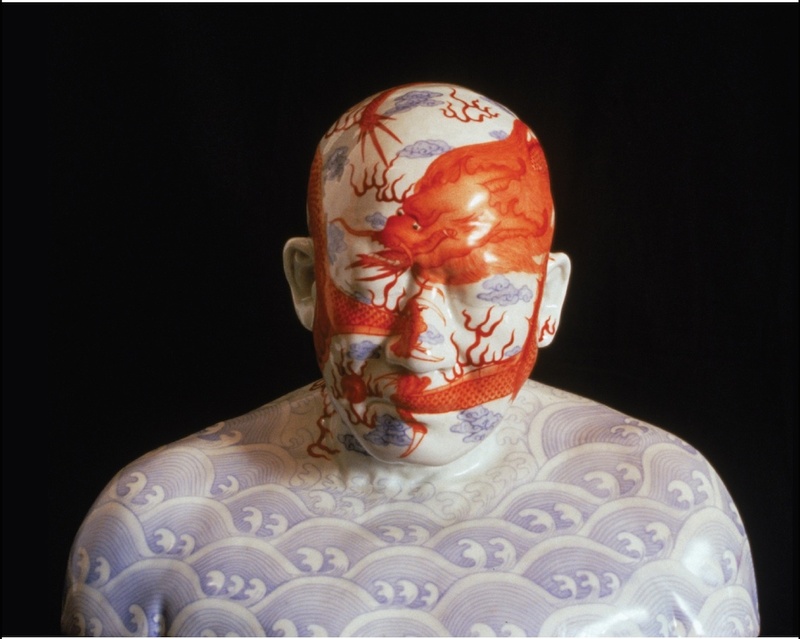 The busts are cast from family, friends, and acquaintances, and decorated under his direction by the artisans of Jing de Zhen, a small town renowned for its porcelain. 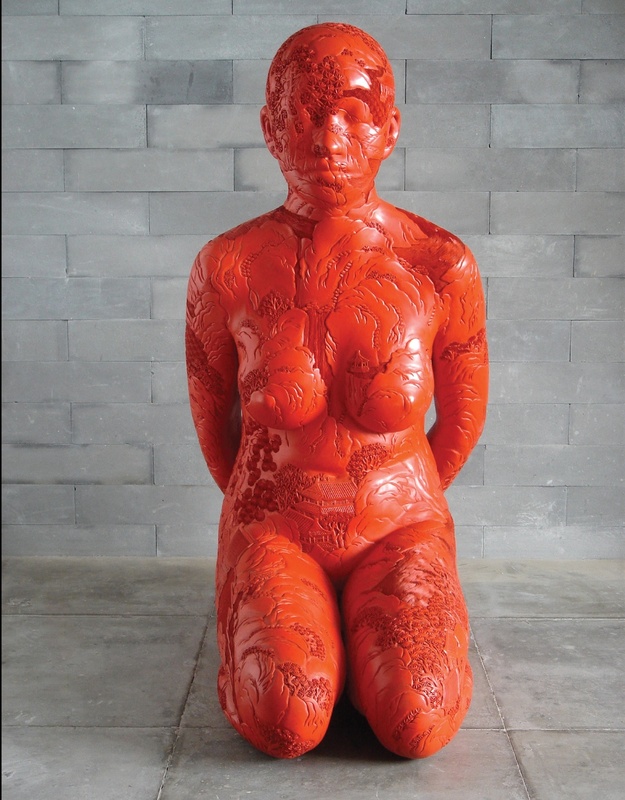 Like a number of other contemporary artists, Ah Xian brings the craftsmanship, expertise, and singularity of ancient traditions to bear upon contemporary art. 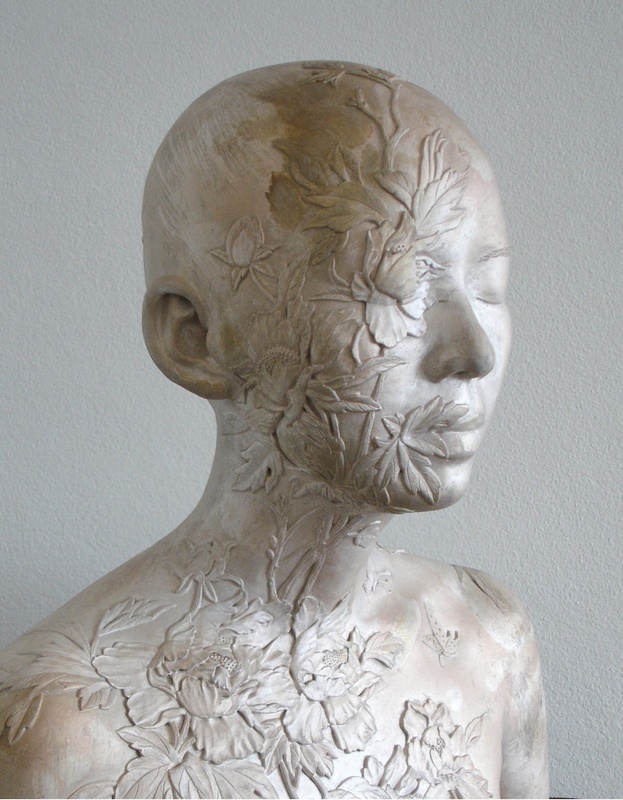 He employs artisan labour and traditional technique to strident contrary effect; on the one hand, his works are classical sculpture (busts), and on the other, exquisite porcelain. As one looks at them, they shift between two phases or styles, between a human figure and a pot or vase, perhaps ultimately a funerary urn. 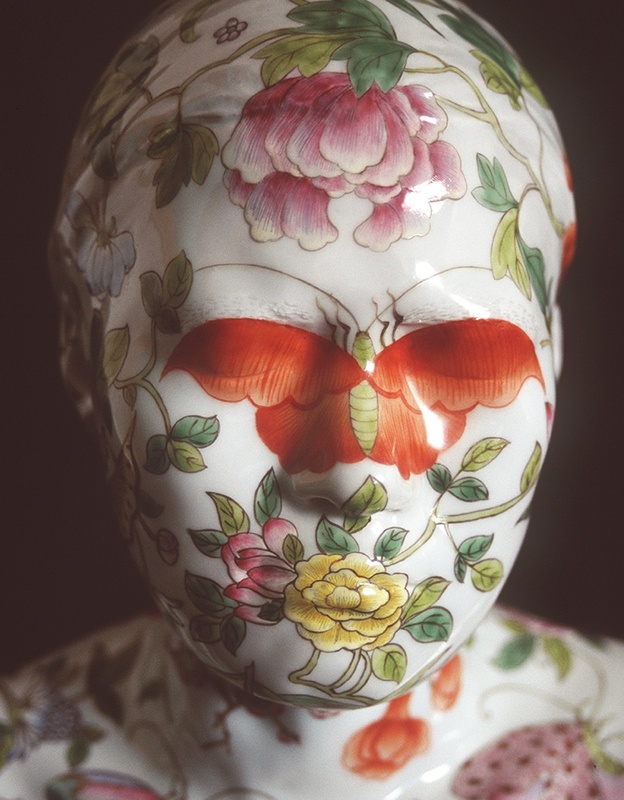 Ah Xian has titled all of his porcelain busts China, China, as in china from China, the material synonymous with the place. In fact, Jing de Zhen was formerly known as ‘Chang Nan’, from which derives the country’s name in English, ‘China’, and also the alias for porcelain, ‘china’. In this sense, Ah Xian’s portraiture returns him and his friends and family – many of them also now departed from China – to the origins of Chinese identity. Ah Xian has used other traditional craft techniques, too, like bronze casting or ox-bone inlay, to render standing, seated, kneeling, and reclining figures. Thus the extraordinary surface textures and effects – from ceramics to cloisenet to lacquerware to carved jade – which have come to characterise the arts and crafts of China over centuries, also indelibly mark the skin of these figures, the surface of one thing exchanged with another, intensifying their ‘Chinese’ identity. Although Ah Xian’s works may be ambivalent, first appearing as one thing then another, they are not ironic. Some artists subordinate the best craftspeople to the worst found tastes; for perverse effect they apply virtuoso technique to derided subject matter like kitsch statuary or popular culture. 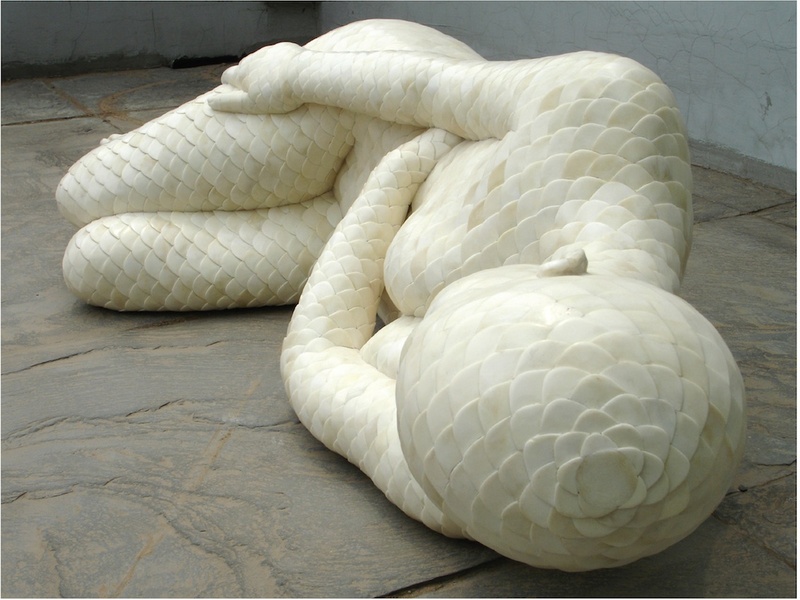 However, Ah Xian’s work doubly resembles the objet d’art. It multiplies and amplifies fine-art and fine-craft techniques in honour of the figurative and decorative traditions of both Eastern and Western sculpture, generating out of this hybridity a kind of transcendental super-beauty. In this sense, the work may seem radically traditional, and liberal too, especially because it’s linked by Ah Xian to humanitarian values, to notions of ‘freedom’, ‘liberty’, and ‘democracy’ that might derive from the artist’s experience of Chinese communism. 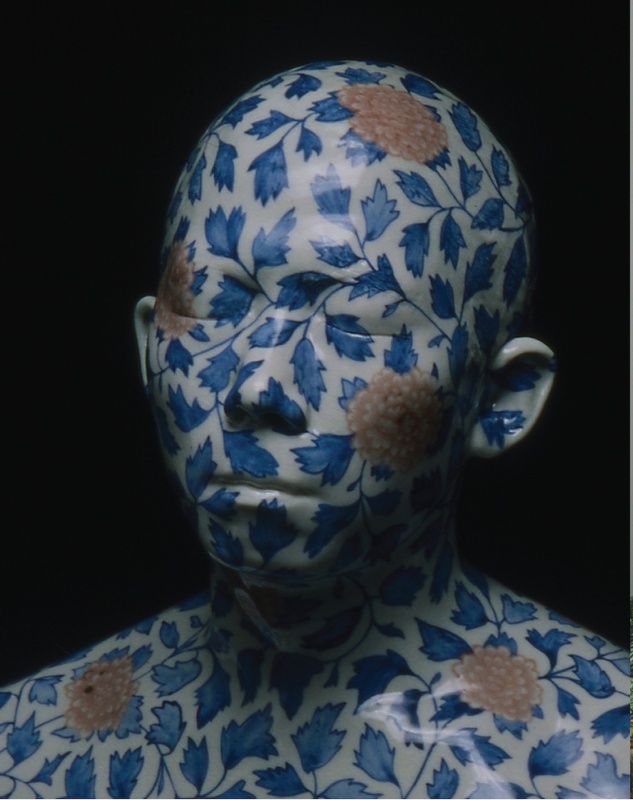 As one of the Diaspora artists, Ah Xian has committed his career to the restoration and further development of Chinese arts and crafts. But curiously, despite China’s abandoning traditional culture during the Cultural Revolution, an export market still flourished, which supported a ‘golden age’ for artisans in government-run craft factories (although nothing like the Qing dynasty). Today, the handcrafts struggle against the ceaseless flow and allure of cheap manufactured goods, and Ah Xian’s labour-intensive, highly skilled works defy the rapid modernisation of most industry in China. Although the patterning is striking and beautiful, on closer scrutiny it’s also quite abject. The skin of Ah Xian’s figures crawls with calligraphic and pictographic elements drawn from traditional china decoration; clouds, plants, breaking waves, dragons, mountains, birds, insects, flowers. But these motifs alternately appear as pustulating weals from a lash, or bulbous cancerous growths bursting the skin, or inflamed spreading sores. The figures’ eyes are closed so that the intricate patterning can also seem like a deadly illness traced on a stony pallor. And the disease has spread to entirely cover the prone, naked bodies with flinty scales, a leprous crust, whole flanks peeling off like the meaty petals of a dying lotus. And when, only last year, I observed for the first time the best of Jing de Zhen’s ceramics in the Shanghai Museum, alongside jadeware, wrought iron, beaten copper and bronze, I couldn’t help but see these originary vessels as human in form. A fundamental anthropomorphism was revealed, which energises Ah Xian’s work as it has done all ceramics (and probably all of the hand-crafts) since the first of us dipped our ape hands in the primordial mud. We make everything in our own image: the base, the body, the lid, the handles, the inscription—it all corresponds to the human body. I had forgotten that we scratched a face in the dirt before we thumbed our first bowl to carry water; I did, however, recall that the Stone Age comes before the Bronze. But like the Museum, Ah Xian presents these moments simultaneously in a collapsed time and space that does not separate figuration from utility, or political regimes from dynastic rule, or one country – or even one Age – from another, but rather sees in everything a reflection of ourselves, one or another aspect of human endeavour. These combined moments generate the ceaseless alternation in Ah Xian’s work between national and individual identity, between epochs, between East and West, between sculpture and décor, between his old and new homes, between beauty and death; our enduring human form animates them all.